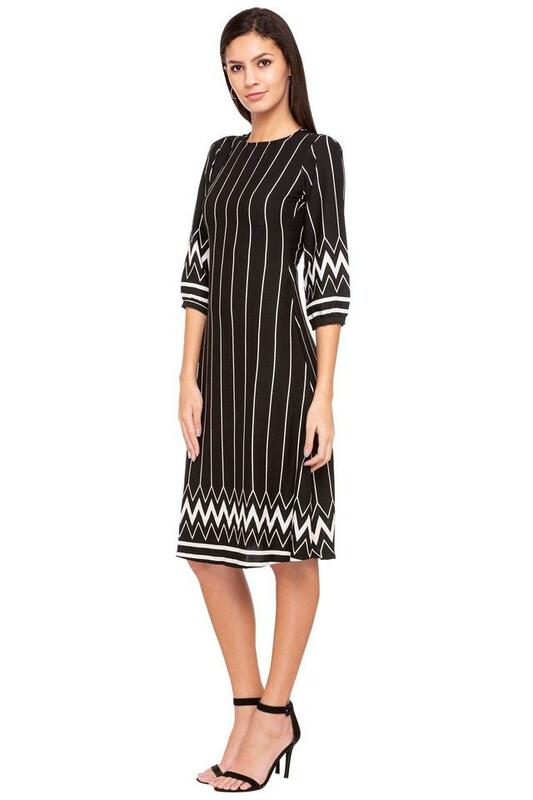 Get known for your sartorial elegance by wearing this midi dress from AND. It has three quarter sleeves that will give you a chic look. Besides, it is tailored with a good quality fabric so as to make you feel comfy all through the day. Above all, it flaunts a stripe pattern, which is further enhanced by the immaculate tailoring. This midi dress is a guaranteed way of looking chic on any casual occasion. It can be matched with a cool pair of heeled shoes to walk in style.